I am often asked why I started fencing and what drives me to engage so much with this sport. So I am sharing this with you all in the hopes it helps inspire you too. I was never an athletic child. I was awkward, uncoordinated, unfit and never wanted to invest my time into anything I wasn’t really any good at. That changed the first time I saw a fencing demonstration on TV. I had loved fantasy and swords but didn’t realise that there was actually a sport that did it. I was mesmerised by it. It became the only sport I wanted to do. Then reality bit ‘We can’t afford it’. I was devastated but understood. We were poor and it was hard times but still to have something, the only thing you have asked for denied was tough. So I waited. As a young man I went to university in the city my family is originally from. I had always wanted to come here and now that I was home it was time to start living and doing new things. 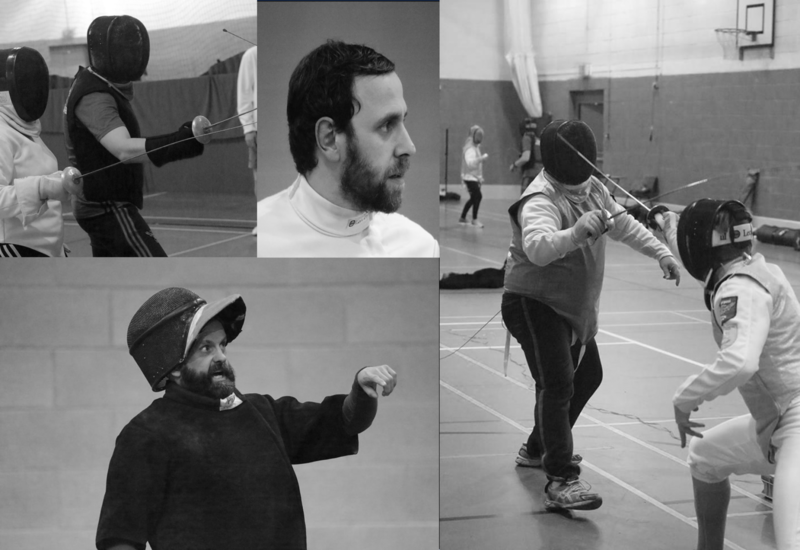 I joined the University of Liverpool Fencing Club and loved every second of it. In my first year I was invited to come down to Liverpool Fencing Club too and become a member there. It was a no brainer. I made fantastic friends and worked hard alongside two experienced and talented coaches to join the universities mens seconds team. I even qualified as a level 1 coach something I never thought I would do. With their guidance I went on to massively improve in both technique and fitness joining the mens 1st team in my second year. The support I received from those coaches and from my team mates drove me to seek out other clubs, make time for extra training and to make full use of my limited time at university to engage with the high quality of resources that an aspiring fencer had access to. I was also blessed with meeting the love of my life and future wife during this time who has always been the light in my heart. I will never forget that last match in my seconds year. We had to win to get promoted and we had all worked hard to get there. Through circumstance I found myself on Sabre and in my last fight I was destoryed. I lost our lead. We lost the fight. We lost promotion. I knew I had let my team down, myself dowm and my club down and I felt that I needed to do something to make it right. For my final year I decided to run for Mens Captain and to lead our two mens teams. I ran against two talented friends, two of my team mates. Our club voted me in and now the task of proving they made the right choice began. Through building a team that worked together, trained together, shared in victory and grew in defeat we formed a 14 strong mens 1st and 2nds squad. We achieved our promotion at last and gained a silver medal in our conference cup. I was so proud of my team and I remember being emotional giving our coaches one of the silver medals that we had earned that year. I had throughout my time at uni devoted hours, days even on Fencing practice 5 times a week, team and individual competitions and more pressups than I could have ever imagined. My team bought me an engraved wristlet…I still wear it to this day and every day after. My coach saw me graduate. I had made bonds beyond friends. They were there the day I swore my wedding vows and have seen me through thick and thin. Post university it was difficult to keep up with the costs of living and training. I was invited to coach at the university and at my coaches clubs to keep in touch with the sport. Through that continued practice I gained my level 2 qualification and found my mission of developing others. It was a truly rewarding experience to be involved in influencing and developing young fencers who had the opportunities that I never had. Which brings me to where I am today. When our amazing president, my coach, my friend announced that he was stepping down I decided to follow in his footsteps to help look after a club that felt more like a family and hopefully steer it to further success. I am the man I am today because of the sword I picked up those 9 years ago. I will always put my heart and soul into every fight, every training session and every lesson I give. This is how I give back to my club, my coaches and my city for all they have done for me over the years and I do not regret a single second of it. BODY and MIND gym, (the gym of Liverpool College), North Mossley Hill Road, Liverpool, L18 8BG. Belvedere Academy, Belvedere Road, Liverpool, L8 3TF. The tip of a fencing sword is only slower than a bullet and an arrow sailing through the air? Take that Mr Bolt!! The technology used in fencing swords has been adapted into aerospace engineering?